Say hello to the friendly faces of Christopher J. Cowell Family Dentistry! Each one of our team members has decades of experience and advanced training, but more importantly, they are just a group of extremely nice people dedicated to helping our patients meet their oral health goals. They’ll be the friendly voice on the phone, the smile that greets you at the door, and the helpful hand that makes your appointments fly by. Read on below to learn more about our fantastic team! 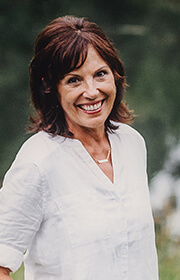 Dee’s experience in the dental world covers an extensive 30+ years, with the last 20 spent at our practice. She studied at Orlando Vo-Tech for accounting and also earned her Expanded Functions and Radiology certifications from the University of Florida. She loves having the opportunity to interact with patients so closely and get to know them and their families. It’s always a great feeling to show them that the practice doesn’t just care about their dental health, but also about them as individuals. Born and raised in Orlando, Dee has five children and three grandsons. When she isn’t busy at work, she spends her time kayaking, walking on the beach, reading, and volunteering at church. She has lived on a ranch in Volusia County for the past 40 years. 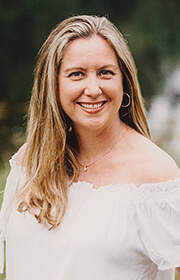 Bonnie got her start in the dental field as an assistant in 1998, completing her certification through Daytona Beach Community College. She then went back to the same school to complete her dental hygienist training, becoming an RDH in 2003 – she also earned the Golden Scaler Award during that time. Today, she is proud to have been working with Dr. Cowell for nearly a decade! Her biggest satisfaction as a hygienist is building strong relationships with her patients that aren’t only focused on teaching good dental health, but also getting to know them as a person. Bonnie is a 5th generation Floridian, born and raised here – and her daughter Samantha is the 6th! Along with her husband Trevor, their family has their own business outside of the dental world: Finish Line Sealcoating. Personal hobbies include riding horses, raising and breeding cows, going to the beach, boating, fishing, and spending any time outdoors. 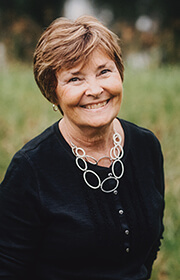 Kris first joined Dr. Cowell’s team five years ago, but her overall experience in dentistry spans an impressive 44 years so far. She studied at Ferris State University, earning her Bachelor of Science in Allied Health Education. She loves the wonderful patients and coworkers she gets to spend time with every day at work! Originally from DeLand, Kris is proud to have two grown, married daughters named Karli and Alex. Karli is a meteorologist in Kansas City, while Kaci lives in St. Augustine and has her Masters in Braille, using it to work with impaired students. Outside of work, Kris enjoys gardening and traveling. In addition to her dental background, she also used to distribute wine for several Napa wineries. 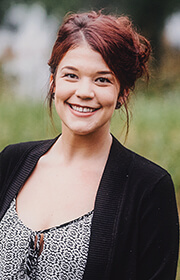 Karly studied at the Hester School of Dental Assisting and has her EFDA certification. Today, her career in the field spans four years and counting. She loves working in a small, private practice that allows the team to spend plenty of quality time with patients. Karly is from DeLand – in fact, she’s the 5th generation of her family to be born and raised here! She is the oldest of four siblings, all of whom are very involved in the community. She spends her free time with friends and family, going to see live music shows, or gardening. She has played the guitar for 14 years and you can often find her playing and singing around town as well.